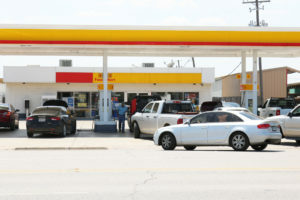 People are racing to get to the pumps in Devine, Castroville, Lytle and Natalia, and many stations are out of gas due to increased number of people buying gas, “and trying to get their hands on every gallon they can.” Every pump was full as people waited in line at 3:30 in Devine. 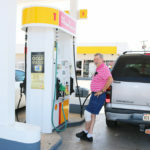 However, Texas Railroad Commissioner Ryan Sitton has spoken out, assuring Texans that there isn’t a gas shortage in the US…. The 15 refineries that are either down or at reduced capacity, has reduced the amount of gasoline production by only 2 million barrels of gasoline a day, according to Commissioner Sitton. “We are working to assure we have gas for our emergency services,” Devine PD Chris Andrews said. 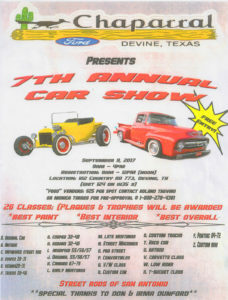 In Devine, there is still gas a Walmart, Valley Mart on I-35, the Shell, and Pico’s, which has both gas and diesel left. There is premium gas and diesel at Food King. However, Valley Mart on I-35 is out of diesel, while Valley Mart downtown is out of gas. Super Mart ran out of gas this past Wednesday. 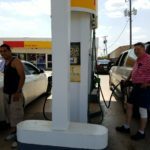 In Natalia, there is still gas at Love’s but they are out of diesel. Castroville has several stations out of gas, but still has a couple left. According to Castroville PD, it’s a mad house at the pumps, as people wait in line. 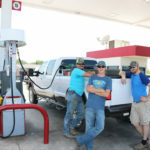 An employee at a local gas station in Devine stated it could be a week before more fuel arrives, but we have yet to confirm a time frame with other sources. According to Lytle, the HEB C-store has some gas left, but “it’s going fast,” a store employee commented at 4:15 pm this Thursday. Hurricane Harvey has forced some of the largest refineries in the country to shut down, resulting in reduced fuel-making capacity. This Wednesday, the largest oil refinery closed in Port Arthur in response to increasing flooding conditions, and said it won’t re-open until flood waters recede. CenterPoint Energy is taking steps to prevent long term damage to some of its electric infrastructure in flooded areas, resulting in some potential planned outages and is operating three staging sites around Houston to mobilize restoration crews. They have 170 additional mutual assistance crews aiding restoration efforts. Restoration in severely damaged or flooded areas will be delayed and utilities are reminding customers that before electricity can be restored to homes or business impacted by flooding, customers need to have electrical equipment inspected. 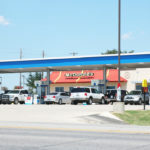 Above, is an interview with Nuggie DuBose in Devine as he filled up.